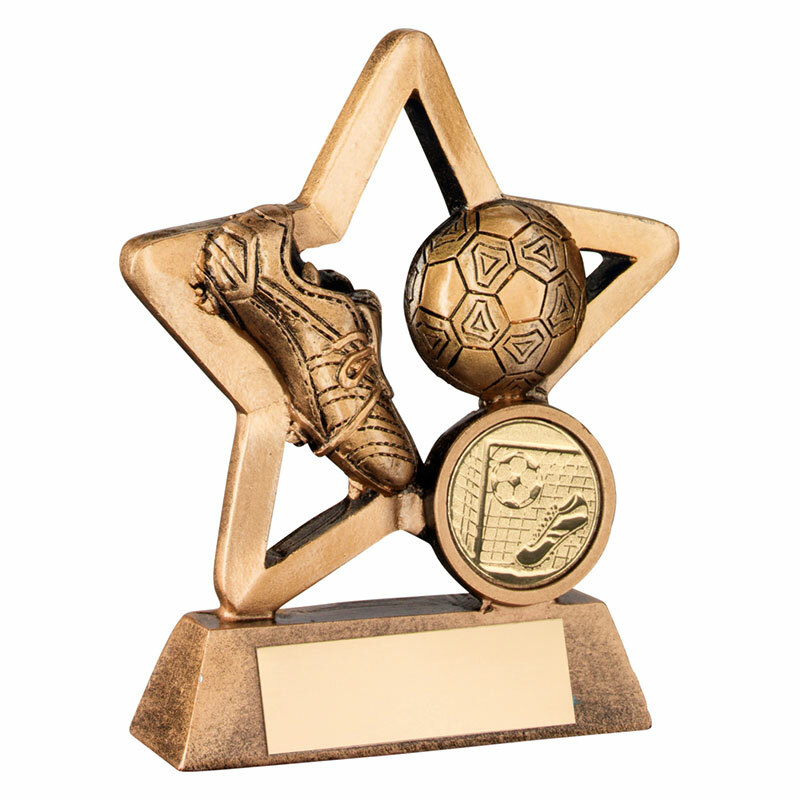 Ideal as player awards for your football stars, these versatile resin awards have an antique bronze and gold colour finish. They feature a star shape with football boot and ball, with a 1in football centre, set on a bevelled base with engraving plaque. Available in two sizes, they are offered with low cost engraving.